Setagaya House – design by Akira Koyama + Key Operation Inc.
Design: Akira Koyama + Key Operation Inc.
3 stories timber structure house built in a dense residential area in Setagaya, Tokyo. 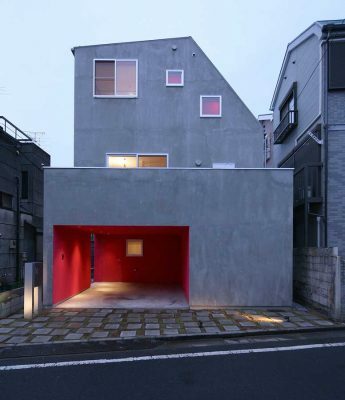 The 7x12m plot is surrounded by narrow street and alley, so it was required to set back the building façade. The ground floor volume is set back for 1.5m and the upper level pitched roof volume is set back further for 2m. Even this house has a descent volume, this arrangement makes it fit to the scale of the surrounding. Inside this external volume, a couple of internal voids with different size have been allocated. With this arrangement, a larger void gets more surfaces touching the other volumes which can create more connection. For example, the largest living/dining void is not only large horizontally but also vertically with 3.2m ceiling height. With this size, this void is connected to the kitchen void and study void. The stairs/library void is relatively small horizontally but as it is vertically large, this void is connected to many other voids. Moreover, the larger void has more connection with the external space as it has more surfaces that touch the external volume. Just by adjusting the size and the position of the void, we tried to control the composition of the whole house. 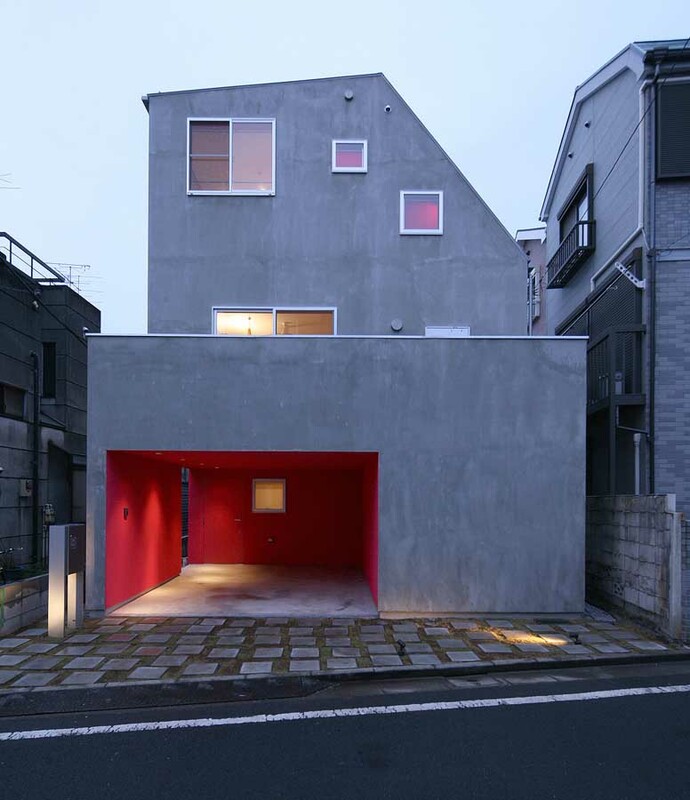 Architect Akira Koyama + Key Operation Inc.
House Taishido images / information from Akira Koyama + Key Operation Inc.